Dakota Dental Health Center provides cosmetic dentistry in Minot, ND. Call 701-852-4755 to learn more and schedule your appointment. At Dakota Dental Health Center, one of our primary focus areas is cosmetic dentistry. This means that we are concerned not only with how your teeth function, but also with the aesthetics of your smile. We understand that a beautiful smile can be a massive boost to your self confidence. We blend our expertise and deep understanding of people with advanced technology to help you design and attain the smile of your dreams. Some people choose just a single cosmetic procedure, while others combine several. Either way, your smile will be just as stunning as it is functional. An inexpensive, painless, simple way to obtain a beautiful smile, Snap-On Smile is made of thin, strong dental resin. As the name suggests, you simply snap it over your existing teeth to hide gaps, chips, stains, or even missing teeth. Snap-On Smile is easy to take care of, and you can even eat and drink while wearing it. Some people wear it as a temporary solution while undergoing further cosmetic dental procedures, while others wear it long term. Porcelain veneers are thin shells of dental porcelain that are permanently bonded over the fronts of your natural teeth. They closely mirror the aesthetics and translucency of your existing teeth, and they can cover a wide range of imperfections. We remove a slight layer of tooth enamel, attach the veneers with a strong dental adhesive, and use a special curing light to harden the adhesive. 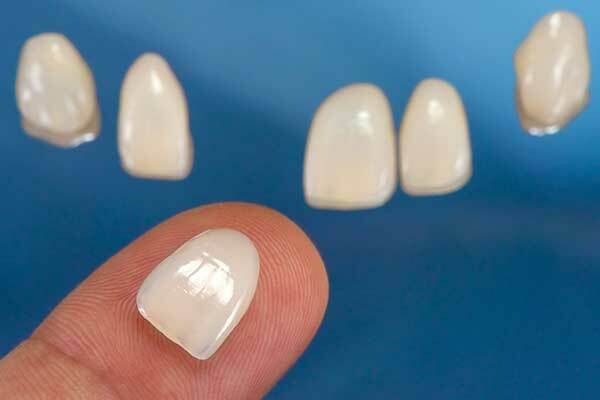 Porcelain veneers are extremely durable, and they can last for years with proper care. Lumineers are much the same as porcelain veneers, but are less invasive and less expensive. Little to no tooth enamel is removed, making this a faster and pain-free alternative. Lumineers are actually thinner than veneers, but because the tooth enamel is left intact, they may feel slightly bulkier. They are also slightly more opaque than veneers. Still, for many people, Lumineers are the preferred option. Teeth naturally darken and yellow as time passes. If you consume coffee, tea, tobacco, or certain medications, they can darken faster than usual and even become stained. 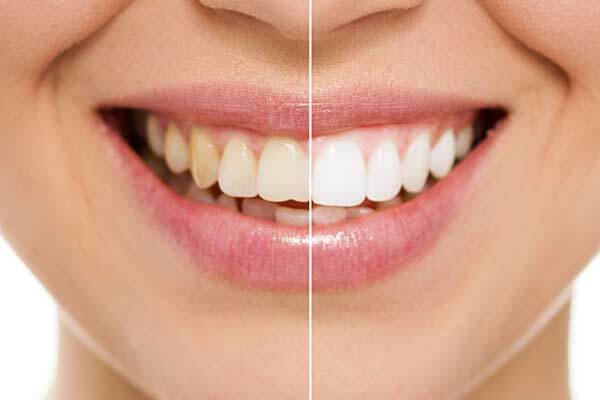 Teeth whitening, or bleaching, is an excellent way to restore your smile’s natural brightness. You can choose one-hour in-office bleaching, or you can whiten your teeth in the comfort of your home with our customized bleaching trays. Less expensive than porcelain veneers, cosmetic bonding is not quite as durable, but many people find that it lasts for years. 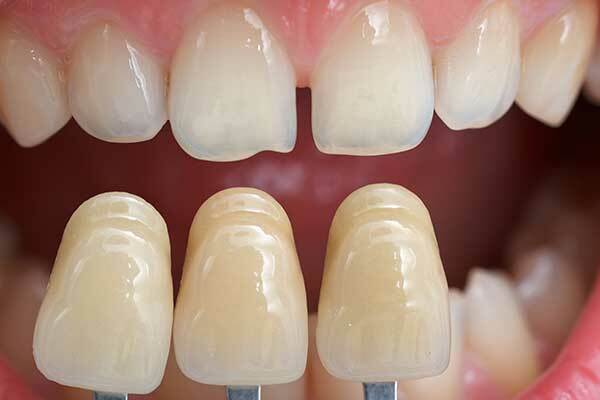 We will hand-shape a tooth-colored, flexible, composite resin to adjust the size, shape, or color of your teeth, and then use a specialized light to harden it. Inlays and onlays may be made of gold, but most people choose dental porcelain. They are used in place of crowns to restore teeth that are moderately damaged. An inlay rests between the cusps of the tooth, while an onlay covers at least one tooth cusp. Call Dakota Dental Health Center today at 701-852-4755 to schedule your appointment.